Protect your graphics and make your motorcoach shine! 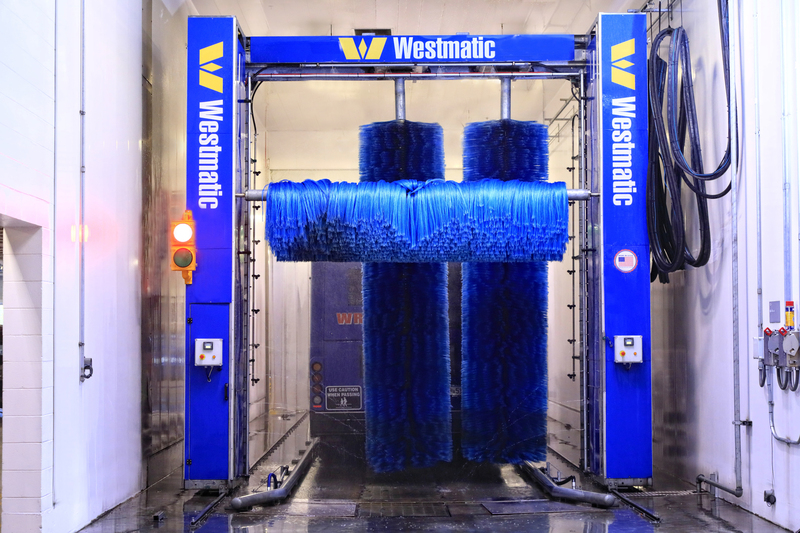 If you’re looking for a large vehicle wash system that does it all—the Westmatic 3-Brush Rollover is the right choice. This machine effectively cleans all types of fleet vehicles including passenger coaches, mini coaches, and passenger shuttle vehicles. Using a top horizontal brush and two vertical side brushes, the 3-Brush Rollover provides a deep clean while protecting your bus graphics. Our full-density brushes carefully wash around mirrors and other vehicle protrusions providing the safest, most gentle friction cleaning in the industry. The Westmatic Rollover is capable of being installed in most existing wash bays. Simple engineering and durable construction make this 3-Brush Rollover easy to maintain. Our focus on the efficient use of water and chemicals results in one of the most cost-effective motorcoach wash systems on the market.